Thirty DeFishGear partner representatives as well as invited technical experts gathered to exchange experiences and know-how with regards to marine litter monitoring methodologies for macro- and micro- debris in different environmental compartments. 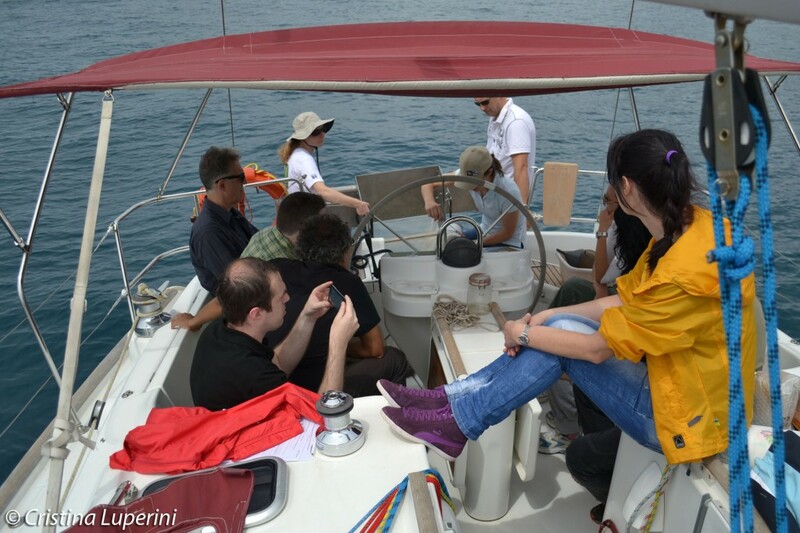 The participants had the opportunity to gain hands-on experience on microplastics sampling and floating macro-litter monitoring at the sea surface, beach litter monitoring, beach sediment sampling for micro-litter, pellets sampling for POPs analysis, on-site identification of synthetic materials with NIR spectroscopy, microplastics sample preparation and separation. Following up on previous discussions held at the DeFishGear experts meeting held in Athens on the 12th of May 2014 and taking into consideration the feedback received by the members of the MSFD TG10 at Riga (11-14 June 2014), the DeFishGear partners reviewed and fine tuned the key elements and parameters of the DeFishGear marine litter monitoring strategy (site selection, survey design, sampling methodologies/protocols, sample processing methodologies, etc.) to be deployed as of September 2014 and which will go on for a year or so. This workshop is considered to be a step towards harmonized, coordinated, compatible and comparable marine litter monitoring activities in the Adriatic Sea with the aim to facilitate EU Member States to meet the legally binding requirements of Article 11 of the MSFD to establish and implement coordinated monitoring programmes, as well as to provide strategic input to the implementation of Article 12 on a Regional Marine Litter Monitoring Programme under the legally binding Regional Plan on Marine Litter Management in the Mediterranean (adopted by the Barcelona Convention COP18 in December 2013).